Updated Friday December 5, 2014 by Kitchener Sports Association. 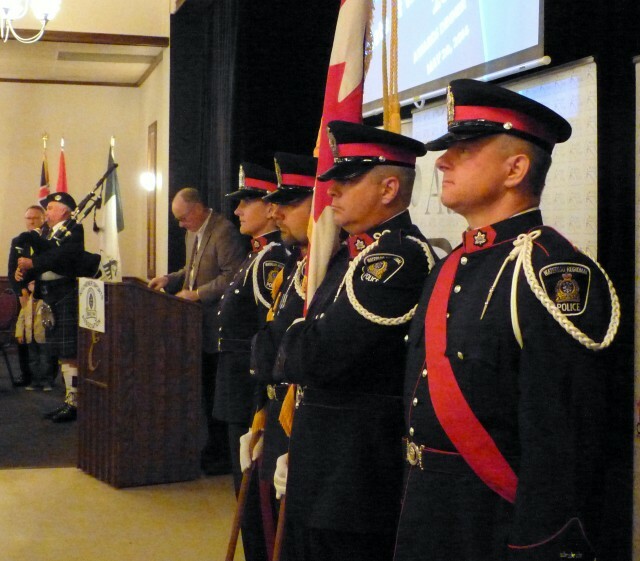 PHOTO: Honour guard at the opening ceremonies of the dinner held at the Edelweiss Sports Bar & Grill in Kitchener. Congratulations to all the nominees for their accomplishments to date! The 2014 KSA Awards of Excellence recipients were also presented with their awards at this event. Congratulations to our Awards of Excellence recipients. KSA dinner meetings are usually the 3rd Tuesday of each month. Please mark this date down now, then any future notice will then be a reminder! First dinner of our 70th season is Tuesday, Sept. 16 - have a great summer!